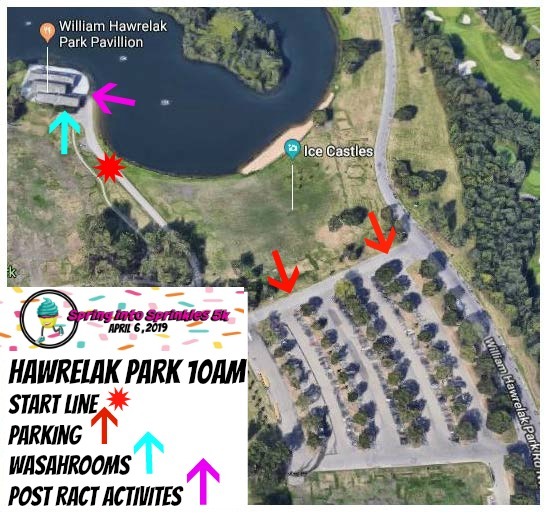 The event will take place on Saturday, April 6th, 2019, at Hawreluk Park. The run will begin promptly at 10AM. Participants are asked to arrive no later than 9:45AM. Yes, however it is limited, please considered traveling together. Please register here by clicking on the link here. Do I have to register online beforehand? Yes. All participants must register beforehand, as there will be no race day registrations. Please note that space is extremely limited and we expect the run to sell out well in advance. The event is open to anyone and everyone. Please review the fee schedule here. This fee includes the following: race shirt, finishers medal, cupcakes to be consumed after the race, admission and free professional photos . A portion of the race proceeds will go towards Second Chance Animal Rescue Society (“SCARS”). Is there a charitable or fundraising component to the race? Of course! More information to follow. Please see refer to the site map on the event details page. Of course! As noted above, a portion of the proceeds from this event will benefit our Charity. You can learn more about the organization here. Where will the cupcakes come from? Fuss Cupcakes are 100% nut free!! How large are the cupcakes? The size of your fist. Each cupcake can be eaten in 2-3 large bites!